David Horton, "Lady’s Choice," oil on canvas, 36 x 36 in. 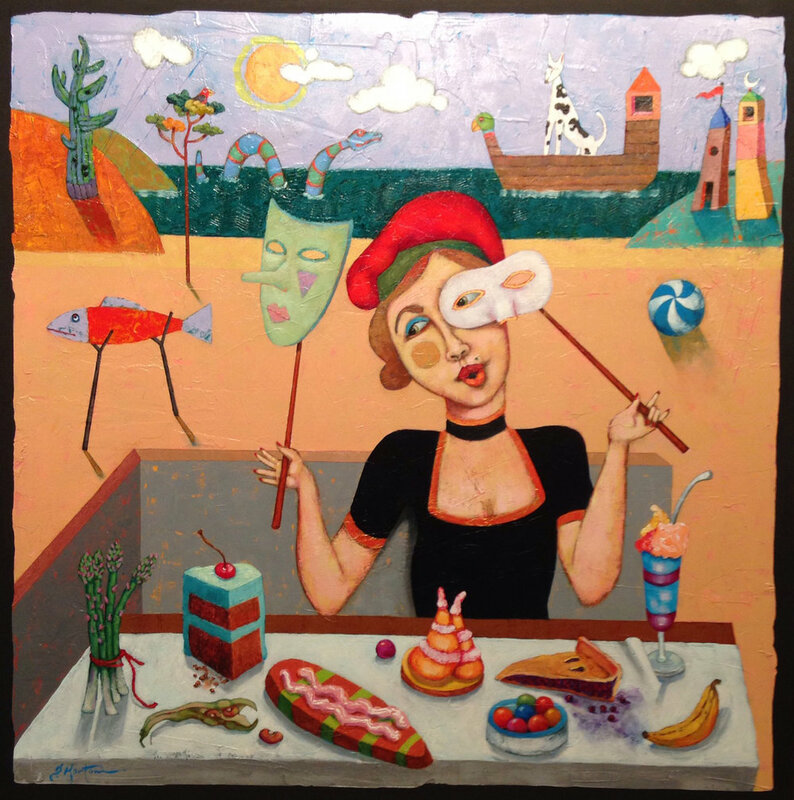 With his latest BRG exhibition, Dilemma, David Horton uses his signature vibrant, colorful - and at times, humorous - style to explore the options we are confronted with in dealing with difficult choices. For more than 27 years, David Horton taught art and design at LSU, Arizona State Univerisity, Mississippi State University and Nicholls State University. Horton has kept studios in southern Spain, Paris and Provence. He has shown his work in many national and international venues and has been collected by Bonnie Raitt, Paloma Picasso, Morgan Guaranty Bank of Paris, the Delta Blues Museum and Scottsdale Center for the Arts. Horton's work has been favorably reviewed in The International Herald Tribune of Paris, L'Oeil International art magazine of Paris, The Times Picayune of New Orleans and many other national and international newspapers and magazines. He has exhibited in Paris at the Petite Palais and at other galleries and museums in Paris, Taiwan and Italy. A BRG artist member since 1985, Horton received both his BFA and MFA from Louisiana State University, here in Baton Rouge, LA. This exhibition is presented alongside the latest works from Jamie Baldridge, Heather Ryan Kelley, and Kristine Thompson. All works from these four artists are on view, free of charge, during normal gallery hours (12 - 6 p.m., Tue - Sun) through November 1, 2018.